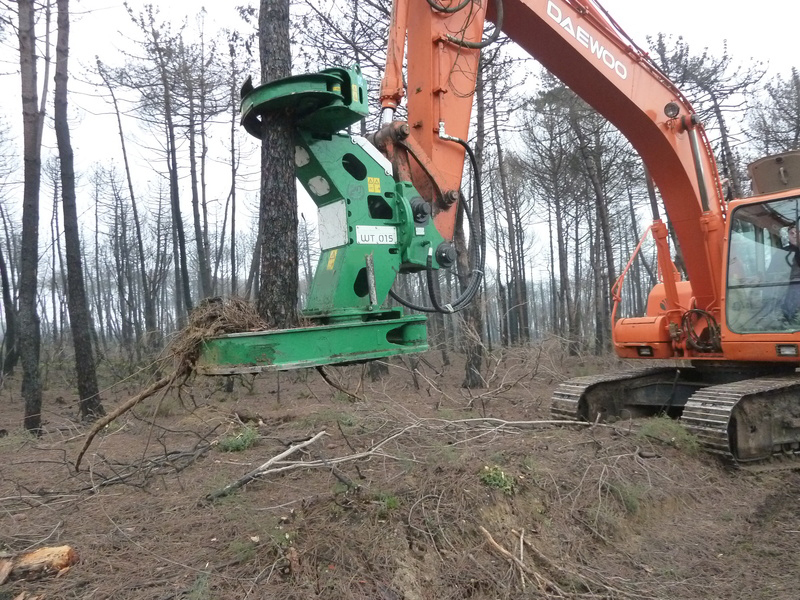 The HTC-Series tree cutter attachment been designed for felling and deforestation work together with woodland & hedgerow maintenance and management duties. 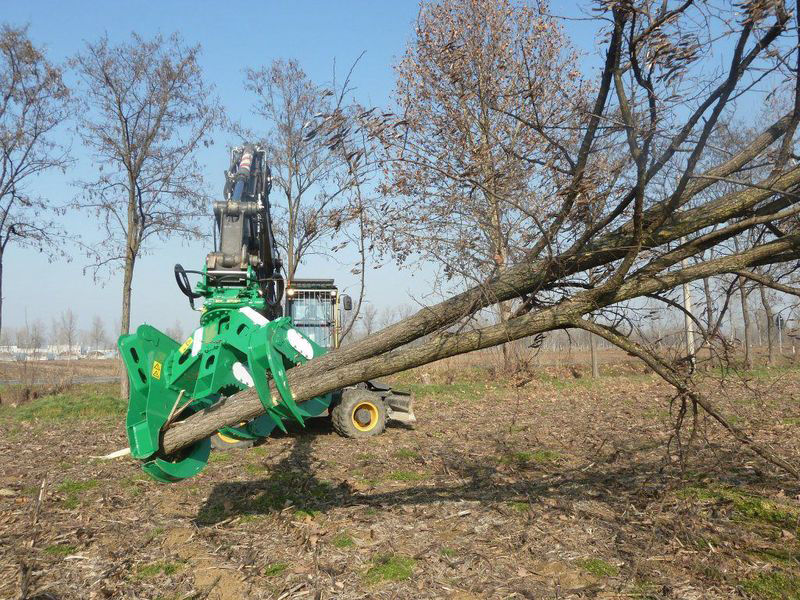 Perfectly suited for working areas with difficult access, along roadsides, steep slopes, orchards etc. High productivity is achieved with re-use of the subsequent cut materials for stacking, chipping or grinding. Broken or storm damaged trees can quickly pose a great danger. 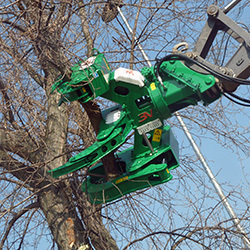 Up until now the surgery of these damaged or diseased trees was a tedious procedure but now it is a simple task to effortlessly remove specific parts of a tree with the HTC tree cutters. 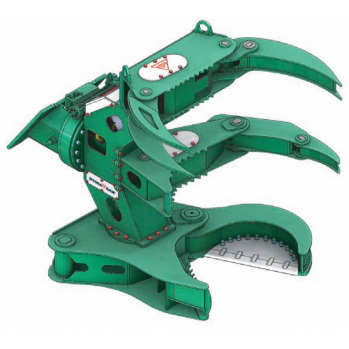 There are 6 models presently available from 340 up to 1800 kgs suitable for excavators from 5 to 30 tons.